When Bishop Robert Hayes, Bishop-in-Residence at The Woodlands UMC, arrived in Oklahoma after his election to the episcopacy in 2004, an unexpected cultural education concerning Native Americans awaited him. “The more I listened,” Hayes said, “I heard a story that was so similar to my own story of growing up in a segregated society. 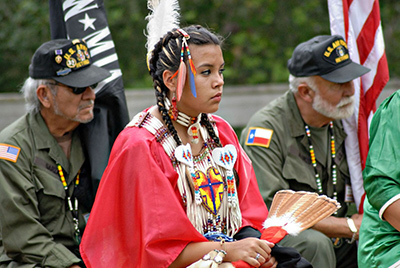 Not only did my heart go out to them, but I was determined to share their story.” Hayes deep passion for Native Americans is shared by CONAM, Committee on Native American Ministries. 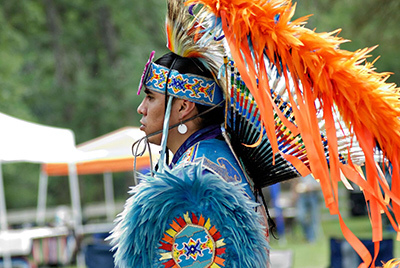 As a part of their mission to offer compassionate care to Native People in the Houston area, CONAM actively seeks to come alongside existing initiatives such as the Native American Health Coalition. 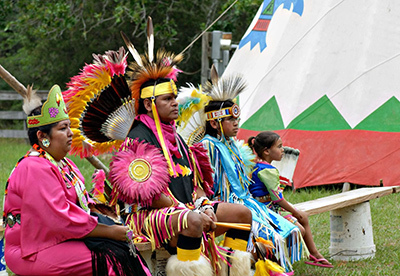 CONAM has also partnered with the Chaplaincy Department of the Texas Department of Criminal Justice to foster the rehabilitation of incarcerated Native Americans through the Native American Camp Tour. Through this initiative, volunteers share the Creator’s love by providing Native cultural experiences in a prison setting. Historically, CONAM has organized a powwow, but the ministry recently redirected its resources to support other fully Native gatherings. This past January, the ministry participated in the Christ-centered 1st Annual Native American Powwow at the Christian Tabernacle in Houston. Each year during Annual Conference, CONAM invites non-native attendees to learn more about Native American ministry, culture and history. In addition to providing an information table where churches can find ideas about how they can participate in Native American Ministries Sunday, CONAM also hosts a breakfast featuring a Native speaker. Rev. Ross D. Hyde, Chair of CONAM of TAC, believes the ministry has the power to transform lives by giving Native and non-native members the UMC the opportunity to participate in genuine Christian community. The Third Sunday Worship service is a perfect example. “Through these worship services we are able to reach, teach and fellowship,” Hyde said. 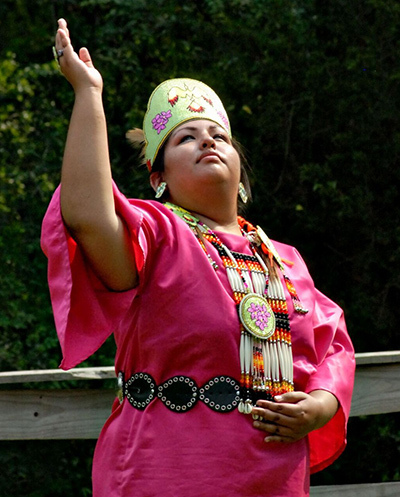 “The service allows the Creator to reach our hearts with His love in a variety of tongues and ways.” Worship is reflective of Native culture as congregants sing hymns in Cherokee, and use Native American worship resources such as, Voices: Native American Hymns and Worship Resources. After the service, worshippers share a potluck dinner. Although the evening is led by Native pastors, guest speakers are common. Bishop Hayes will present the message for the next Third Sunday event, February 18th at 4:00 p.m. Hayes, who has been a frequent speaker for the service, is looking forward to worshipping with his Native brothers and sisters once again. Interested in learning more about CONAM? Contact Rose Brewer, CONAM Secretary, at txconfconam@gmail.com Third Sunday Worship is held on the third Sunday of each month at 4:00 p.m. at St. Mark’s UMC Houston, 1615 Patterson Street.